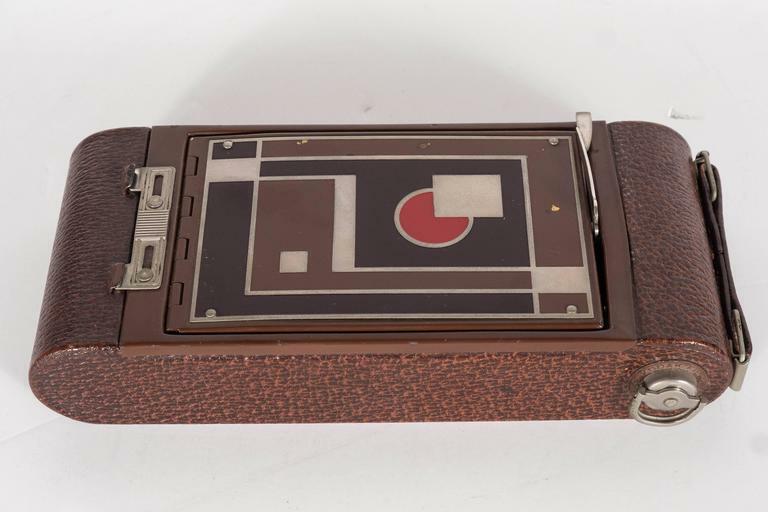 Walter Dorwin Teague (1883 -1960), the renowned American Industrial designer, conceived this Art Deco camera and box (model no. 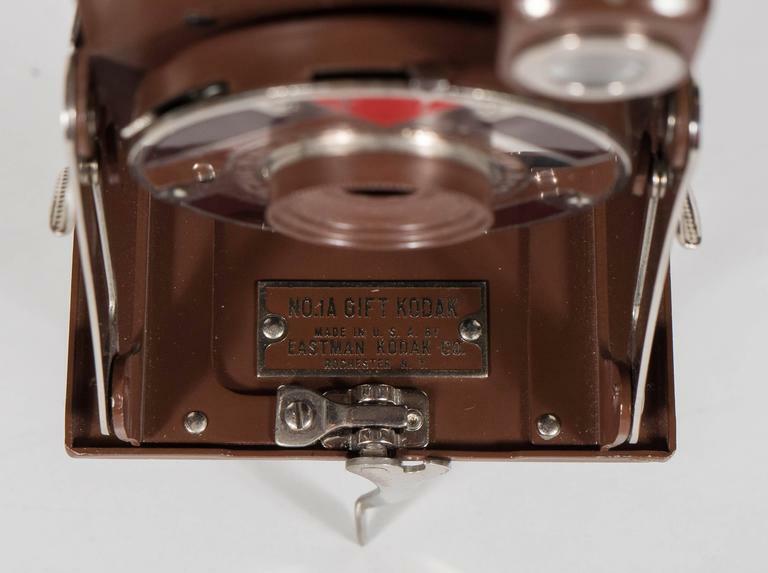 1A Gift camera) in 1930 for the Christmas season, which was then fabricated by The Eastman Kodak Co. in Rochester NY. 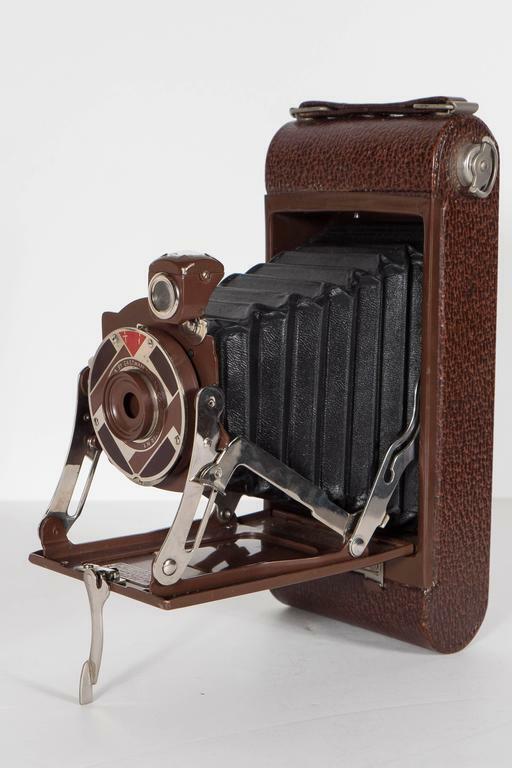 The folding camera is chrome-plated and enameled metal, leather and paper size 3.5 x 8 x 6.5. 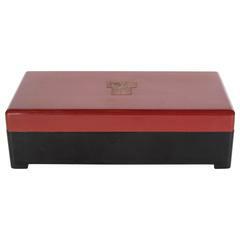 The top of the box features an array of intersecting geometric shapes in chestnut and cocoa brown, with a single ruby red orb with an overlapping chrome square. 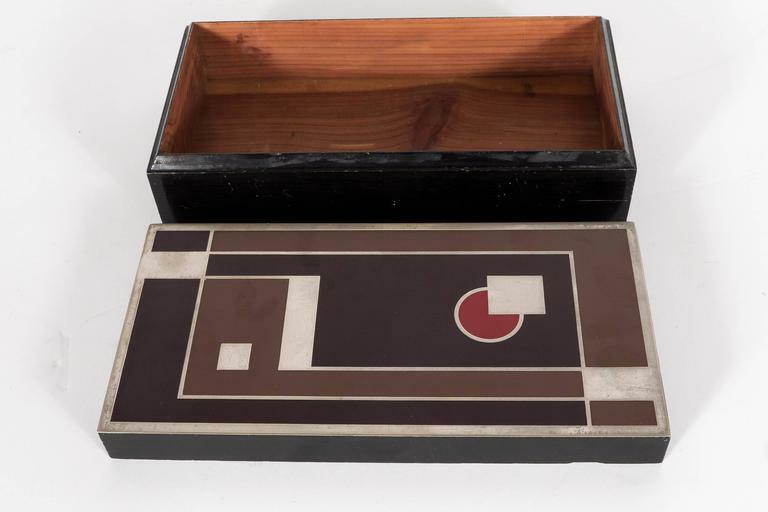 The box is cedar lined, enameled and inlaid with chrome. 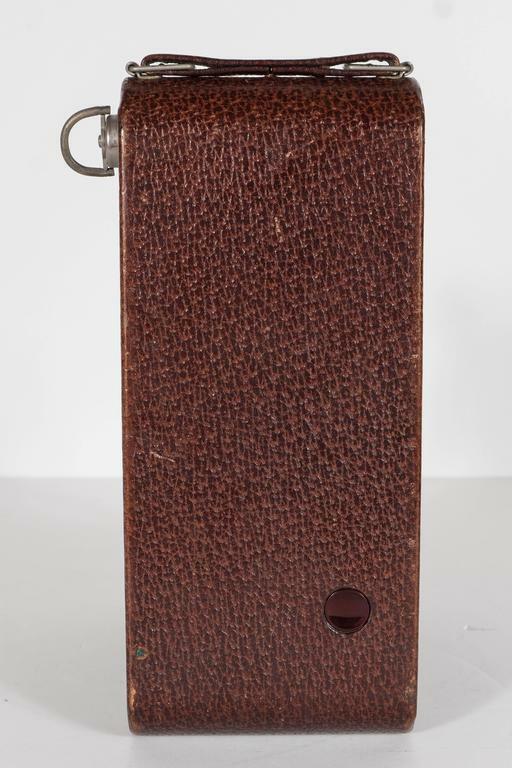 The sides are lacquered cedar. 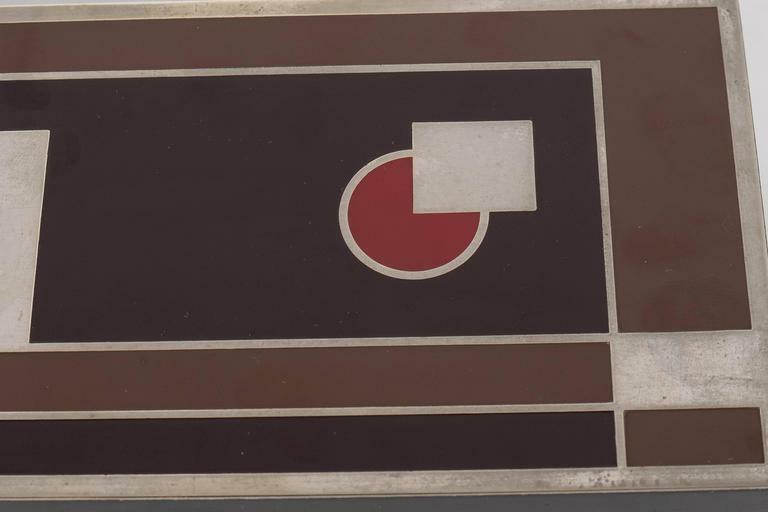 This is truly an incredible piece of Art Deco history in America. 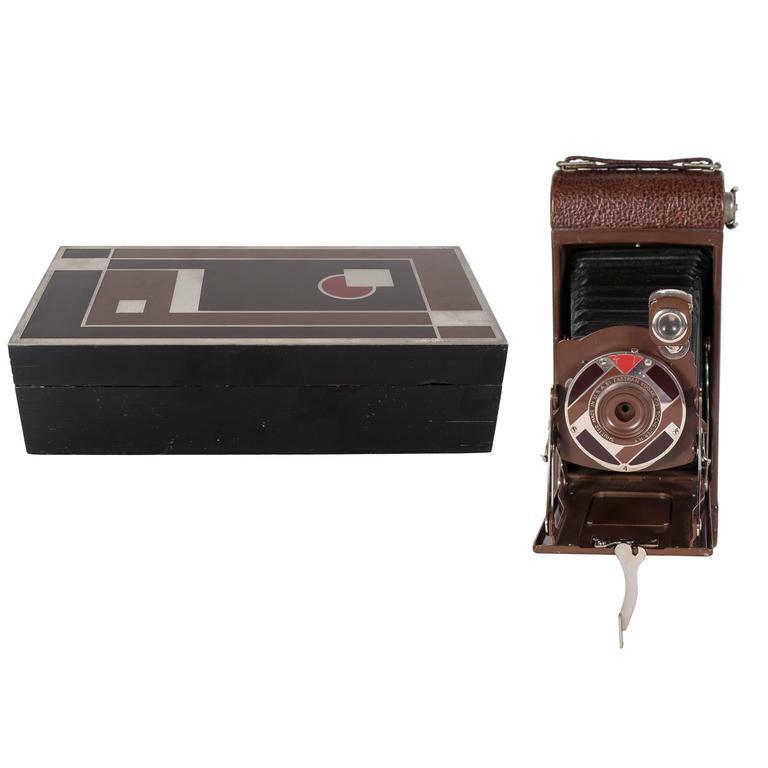 There is an example of this camera in the collection of the Brooklyn museum. 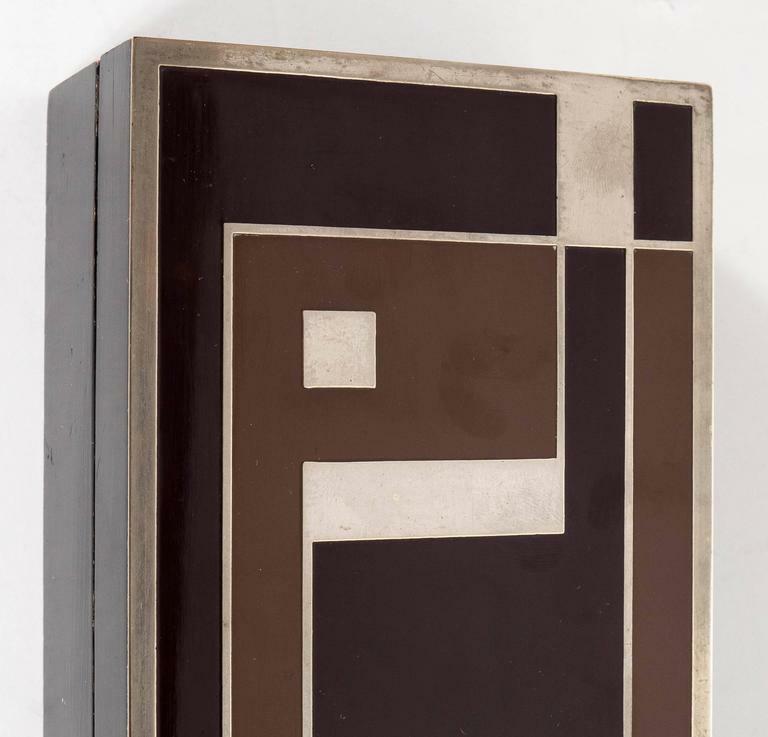 Additionally, it is documented in the book "The Machine Age in America 1918 to 1941" ;"'20s and 30s Style" by Michael Horsham; and "American Modern 1925-1940: Design for a New Age" by J. Stewart Johnson. 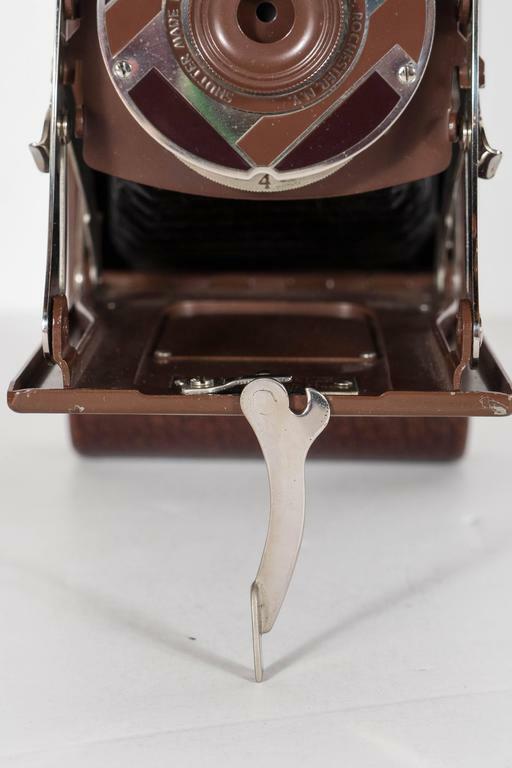 Teague's structured enamel design on the cedar box is repeated on the front of the camera. 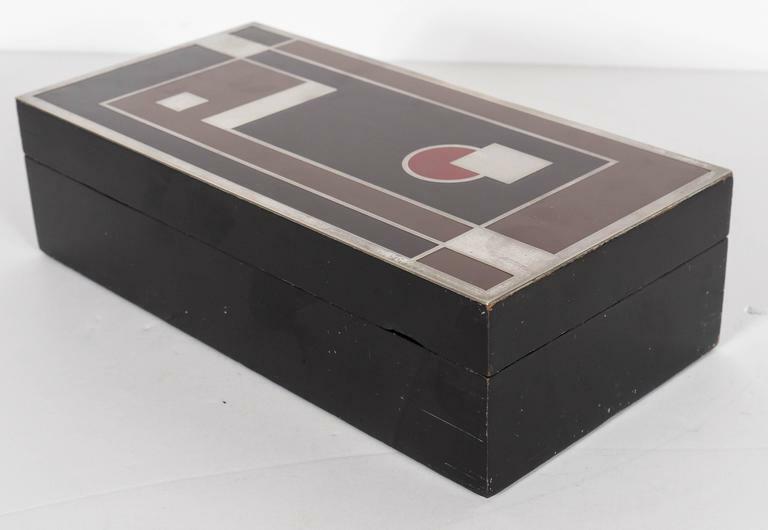 Excellent vintage condition, America, circa 1930. 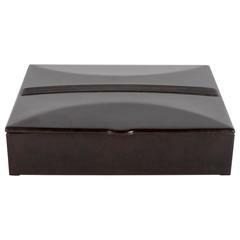 Dimensions: 3.5" D X 8.75" W X 2.5" H.